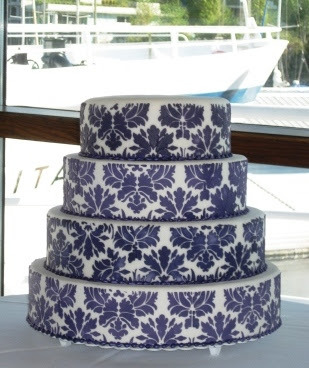 Beautiful damask wedding cakes of various different colors to choose from as opposed to the traditional black and white damask pattern. 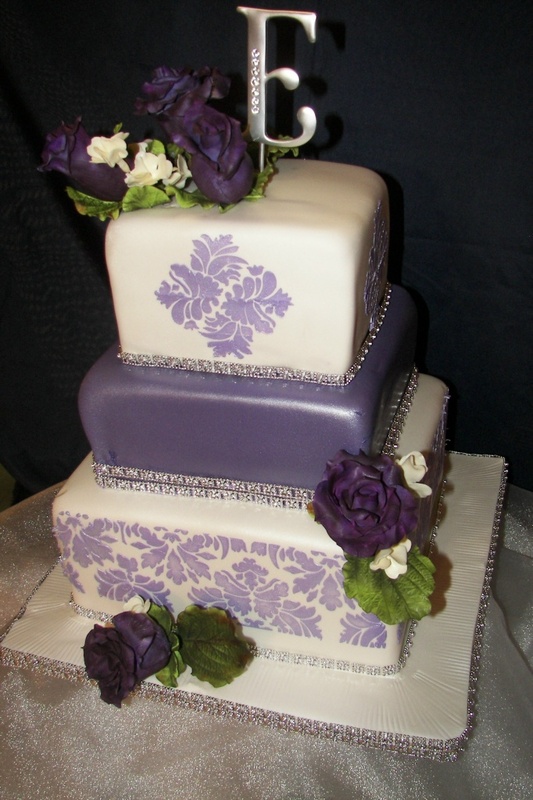 Gorgeous five tier wedding cake with damask pattern in white and metallic purple. 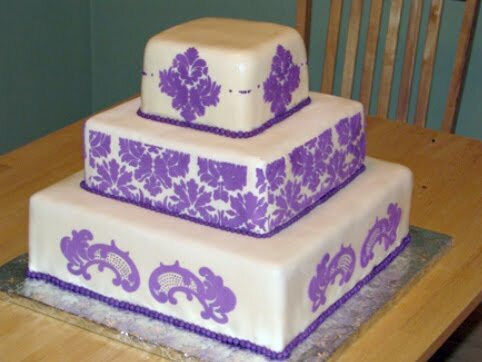 Three tier square white wedding cake with purple damask pattern. 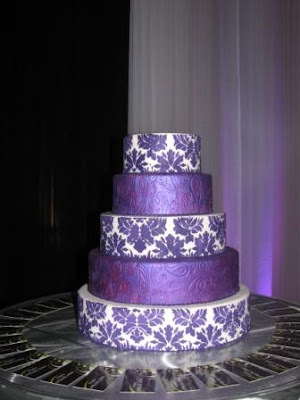 Purple and white damask pattern wedding cake over three square tiers. Four tier square damask wedding cake. 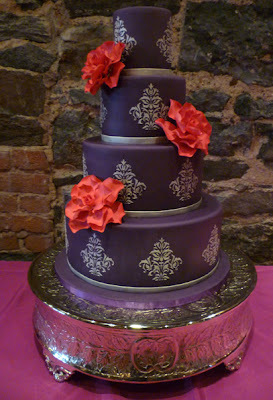 Round three tiered lilac damask wedding cake. 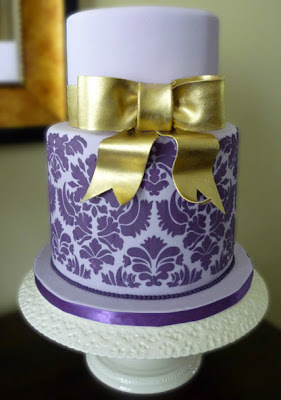 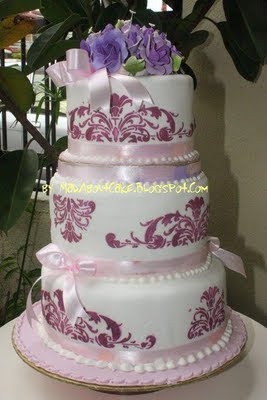 The following two amazing purple wedding cakes with damask patterns come from Luisa Galuppo Cakes.